Tomorrowland Indy Speedway – 52″ to drive alone, at least 32″ to be a passenger. 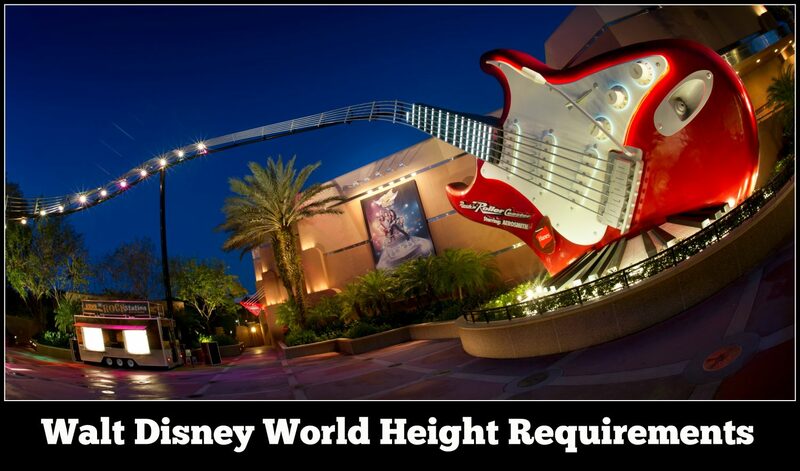 If a child does not meet the minimum height requirement, Disney has a program available so that your party won’t have to wait in the regular line twice. The rider switch or rider swap program allows an adult to wait with the non-rider while the rest of the party enjoys the attraction. After the party experiences the attraction, the waiting adult can board the attraction without having to wait in the regular line again. This program is available at select attractions. 1. Ask a Cast Member if Rider Switch is offered at that attraction. 2. One adult member of your party and the Guests who are not experiencing the attraction are asked to wait in a designated and given a Ride Switch pass. 3. The rest of your party rides the attraction. 4. After riding the attraction, the guests return to supervise the non-riding guests. The adult who waited provides the Cast Member with the Rider Switch pass. 5. That adult boards the attraction without having to wait in the regular line.